Join the Bilston Online Email Group/Mailing List and become part of the discussion. Bilston, a town that has stood the test of time! We're stronger than steel here in our West Midland town! You might ask why manual work, council housing and football gives this town an interesting yet strong history. 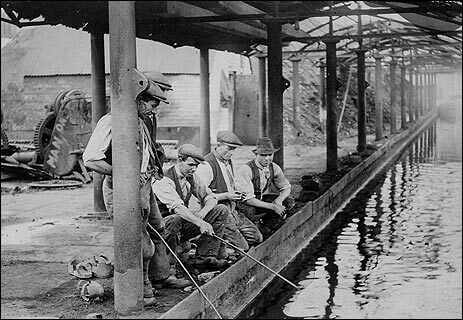 The 'Industrial Revolution' came to Bilston, leaving a lasting impression and a lifelong career for the local Bilston men of yesteryear. Whereas, football enters this equation quite appropriately because Bilston's own football club were branded 'The Steelmen' took to the pitch back in the 1800's. No history book can teach you about what Bilston has brought to the table! Stronger than ever before! Bilston was transformed from simple farmland to a progressive town by the opening of the nearby 'Birmingham Canal' back in 1770. Bilston's fire was first ignited ten years later with the first blast furnace opening in 1780. Bilston has changed so much throughout the years of my great-grandparents and grandparents lifetime, but it's easy to see that Bilston's boom time must of been when the fumes were billowing from thefurnaces? I know I might be playing with fire as lots of local Bilston people have wrote about the Steelworks in Bilston but this milestone in history has a personal link to my family. My great-grandfather Thomas worked in the Steelworks at Spring Vale after he served his time during World War Two, this manual profession played an integral part for my family as I have had great-uncles and also a great-great-grandfather that worked in the furnaces. 'Stewarts and Lloyds' employed countless men who worked very hard in the works for their families, bringing food to the table each week. 'Elisabeth' a blast furnace was fired up for the region to see in 1954. The Steelworks gave Bilston and countless other communities across a honest livelihood in England for a considerable amount of time, like 'Stewart and Lloyds' which lasted from 1770 to 1979 for a staggering 199 years! Throughout the 'Industrial Age' housing in Bilston was transformed at an alarming rate. 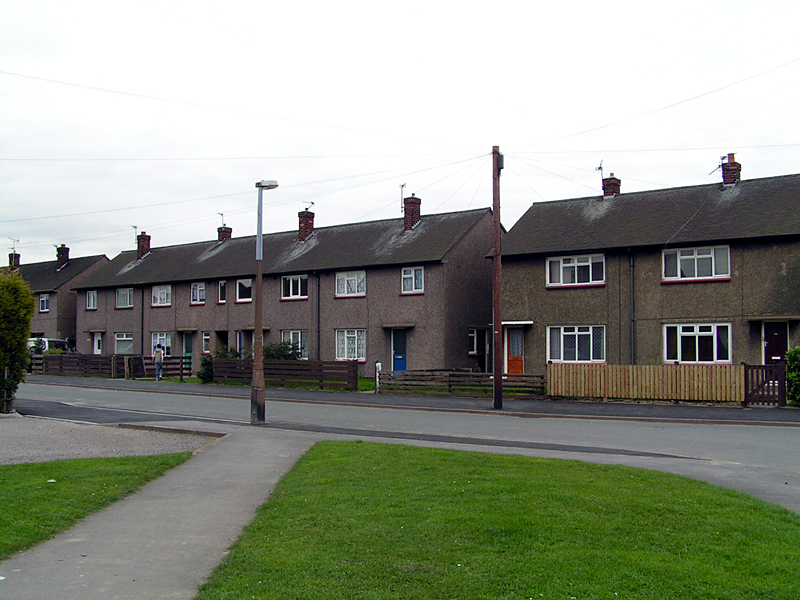 From the original basic housing 1920's Bilston benefited from a stream of council housing developments. My family home happens to be a council house just off Bilston's 'Lunt Road'. Myancestors who worked at 'Stewarts and Lloyds' all lived in council houses. The countless amount of workers who made their living, the cornfields and farmlands of yesterday are now livelyneighbourhoods that all have a story to tell. Bilston will always be a formidable town in my eyes, more than three generations of my family originate from this great town. The 'Industrial Revolution' has a lot to answer for! Jobs, housing and livelihoods have all been shaped one way or another when the blast furnaces were concerned. 1920's Bilston brought new council housing with front and back gardens, electricity and running water. We take having a separate bathroom and an additionaltoilet inside our houses, those amenities would pose as a luxury. I can only guess how living in a new council houses before World War Two would have impacted on the lives of the Bilston people. Forgive me for I am no historian! Stronger than ever before? Bilston Town Football Club first made match headlines in 1894, today this football team stands strong 119 years after it was founded. I take no interest in football but when I look at Bilston's steely past the players of this team were known as 'The Steelmen' so I guess its in the name? 1954 brought Bilston Town FC's victory in the 'Birmingham & District League' which stands as a positive thing for this time if anything else. 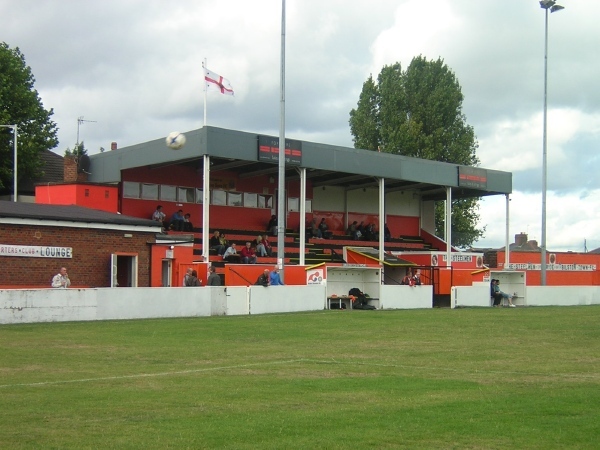 Bilston Town FC has been given a new lease of life, with a new stand and pitch to further enhance their future. May 2012signified the beginning of new management for Bilston Town FC, this new start emphasised the involvement of local youth teams within the league. Off the pitch Bilston Town FC is working with the 'Bilston Partnership Youth Football League' and other groups forging relations with local 'Pupil Referral Units' and 'Probation Services' to improve the lifestyle of local troubled young people. So, I look back to the beginning to think what were those 'Steelmen' like, did they play for their team with pride back in the 1800's? I shall never know! Bilston ... Stronger Than Ever Before !! !